Proudly serving calgary since 1983, with two great locations for your convenience. All our donair cones are made in-store and seasoned with our own in-house made seasoning. All of our sauces are made in-house. our products are msg free. 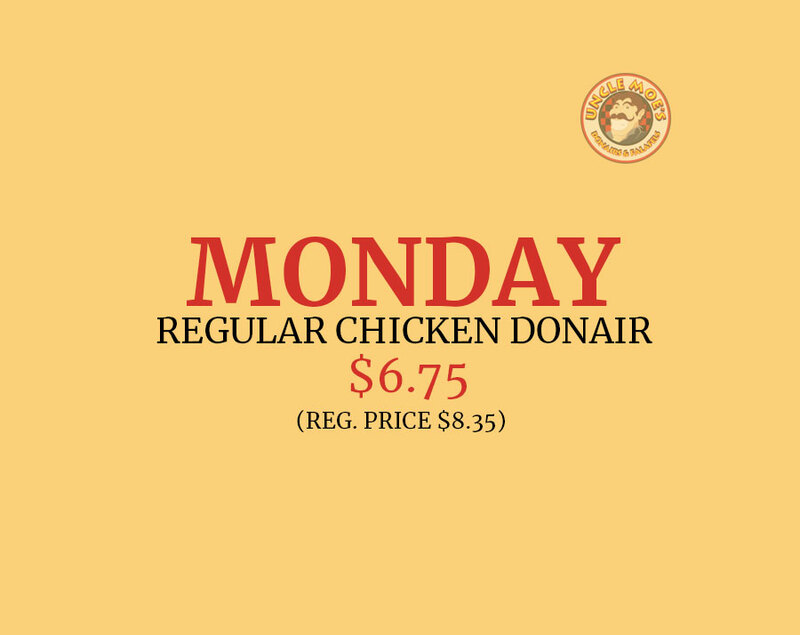 We serve beef donair's, chicken donair's, bison donair's, lamb donair's, and falafels, with all of the toppings to make your mouth water, and have you saying.."I WANT SOME MOE"!!! 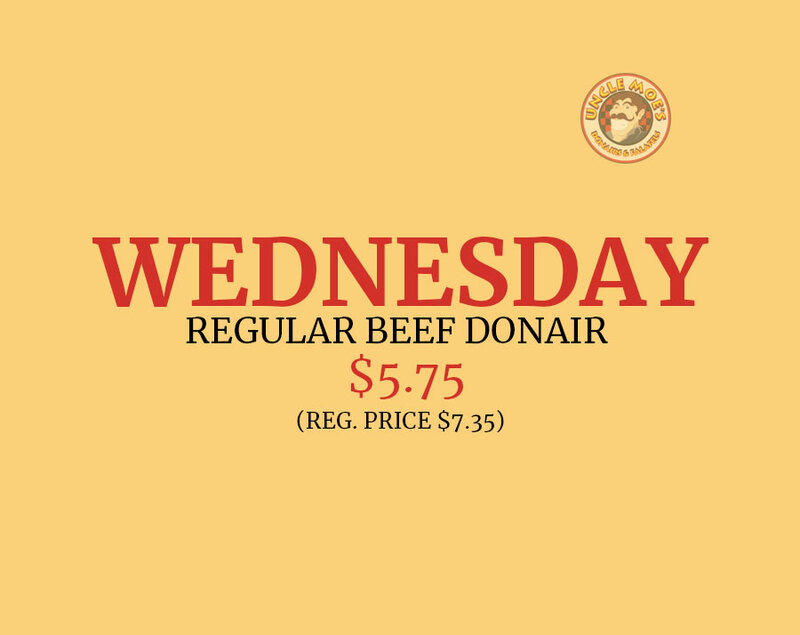 Try Our D-Rex Challenge - Finish a donair that has 1kg of beef on it in 40 minutes or less and get it for free, and we will put your photo on our wall of fame. if you don't finish, it's $40.00.